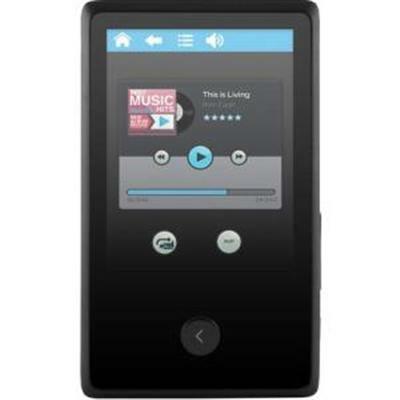 Be the envy of your friends with this sleek and affordable 8GB MP3 video player. 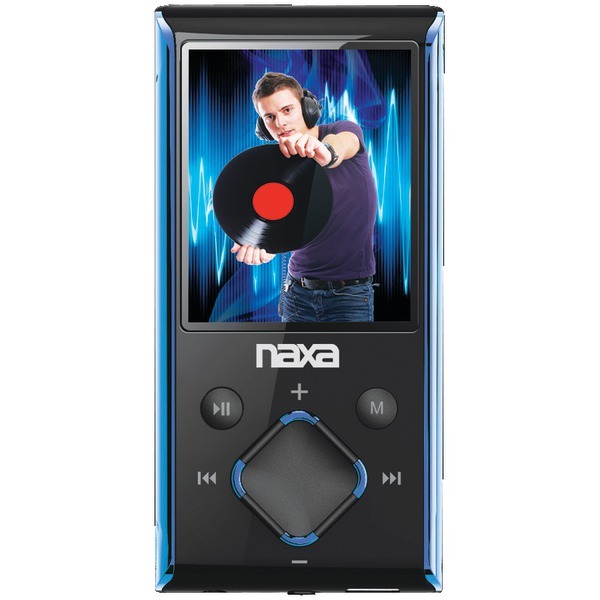 The built-in FM tuner voice recorder and 1.5" color screen are just a few of the many features this device has to offer. 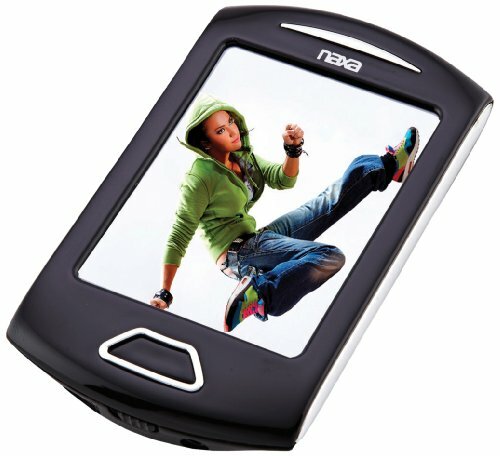 The slim 208 series is available in a wide range of stylish colors. Note: The radio function will only work with the headphones connected as the headphones serve as an antenna. 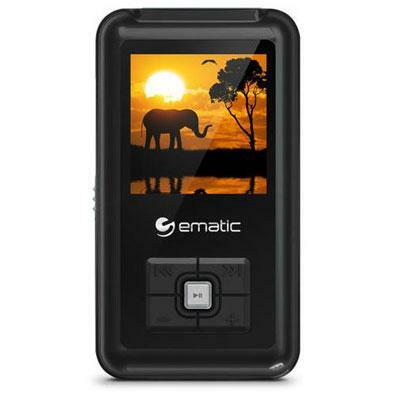 Ematic 8GB MP3 Video Player: 8GB of flash memory stores up to 3000 songs hours of videos or hundreds of pictures. 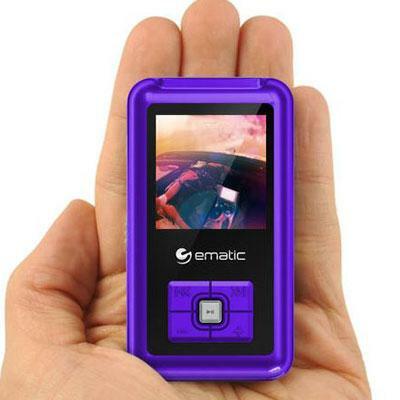 1.5" color display for easier navigation and viewing of artist and song titles or playing your favorite videos and movies. 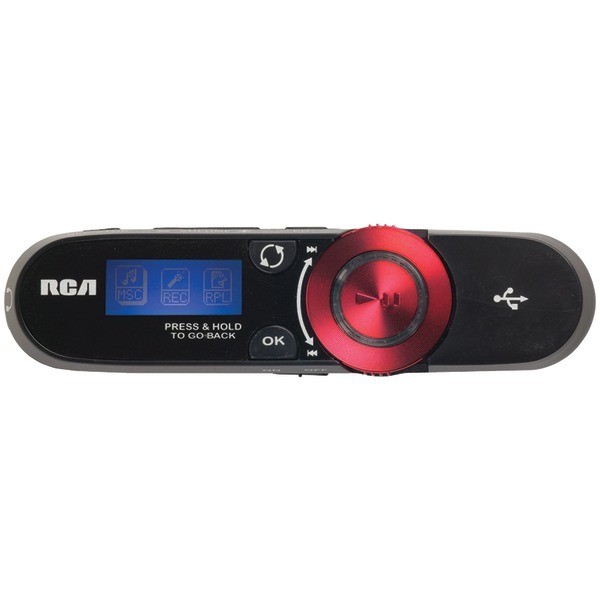 Built-In FM tuner/recorder lets you listen to your favorite radio stations and record songs right off the radio. Voice recorder can record lectures notes or anything else. 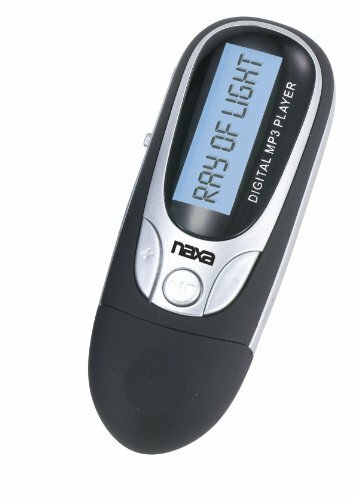 Includes conversion software so you can play MP4 AVI or MPG format videos; also supports MP3 WMA MTV BMP JPEG and protected DRM files. Built-in equalizer lets you tweak your music just the way you like it (over 19 This item cannot be shipped to APO/FPO addresses. Please accept our apologies. 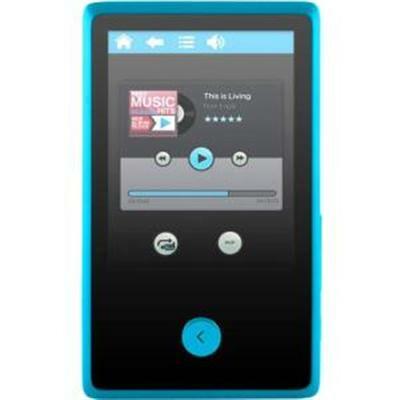 Enjoy your favorite music wherever you go with this sleek and affordable 8GB MP3 video player. 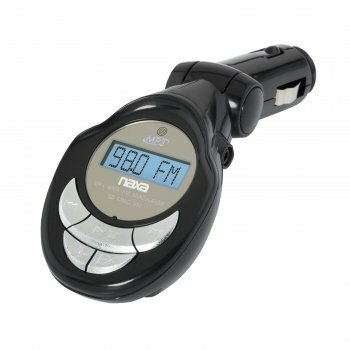 The built-in FM tuner voice recorder and 2.4" touch screen are just a few of the many features this device has to offer. Use the built-in Bluetooth to stream music to wireless speakers and headphones. 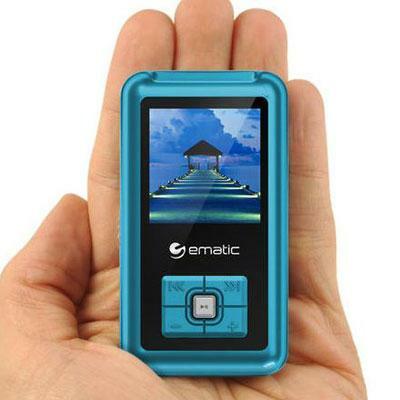 8GB of flash memory stores up to 3000 songs hours of videos or hundreds of pictures. Micro SD slot lets you add up to an additional 16GB of storage. 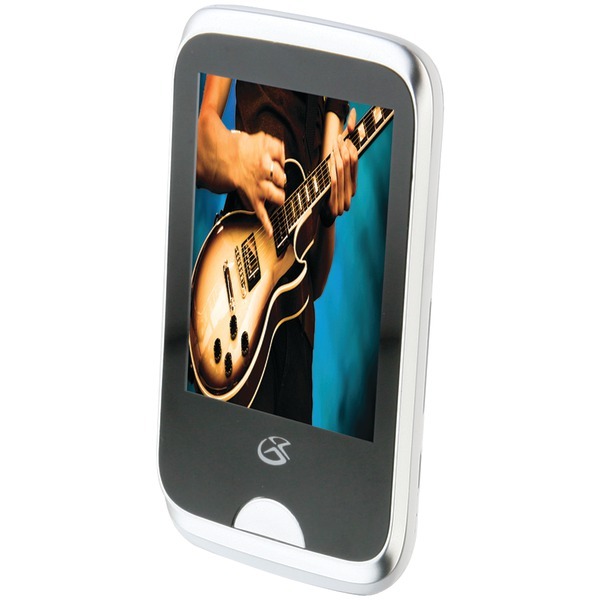 2.4" touch screen display for easier navigation and viewing of artist and song titles or playing your favorite videos and movies. Bluetooth 2.1 lets you stream your music to wireless speakers. 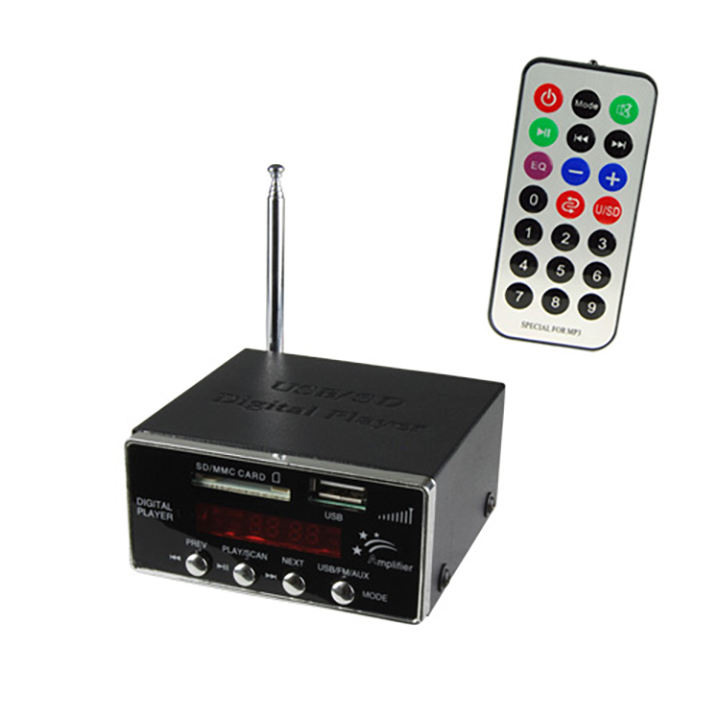 Built-In FM tuner/recorder lets you listen to your favorite radio stations and record songs right off the radio. Voice recorder can record lectures notes or anything else. Built-in equalizer lets you tweak your music just the way you like it. E-book function allows you to read txt files. 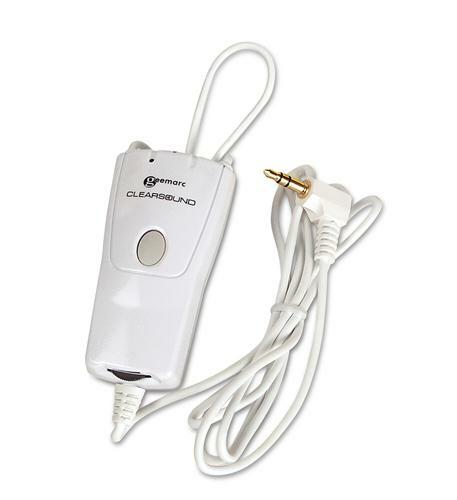 High-speed USB 2.0 connection ensures quick transfer of music videos and pictu This item cannot be shipped to APO/FPO addresses. Please accept our apologies. Sandisk SDMX26-008G-G46K Clip JAM Black 4x6 Glob This item cannot be shipped to APO/FPO addresses. Please accept our apologies. 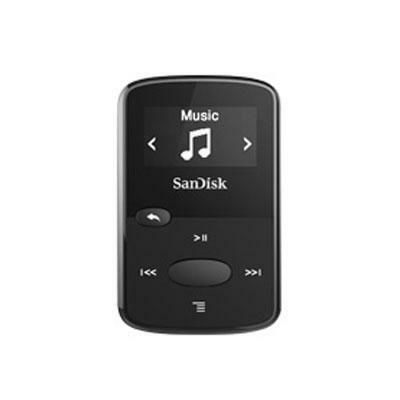 SanDisk Clip Sport MP3 Player - Black. 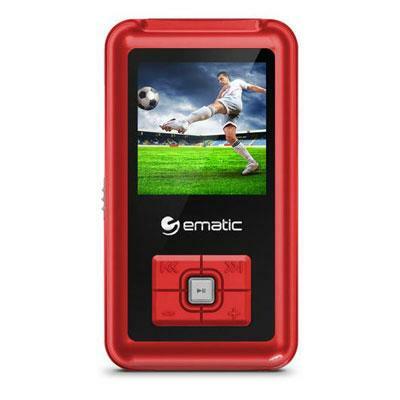 Up to 8GB + a card slot for memory expansion; Large LCD screen (1.44" TFT-LCD-128x128 Pixels); AAC compatible (DRM-free iTunes); FM tuner interfaces with fitness club TVs; Supports audiobook playback; Super lightweight; High quality durable; Easy Clip-on Easy Go; Tangle-free matching colored ear buds. 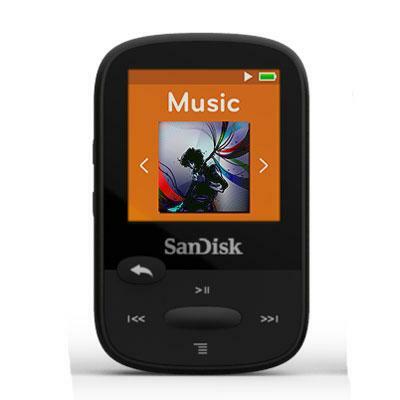 Package Contents: SanDisk Clip Sport MP3 player USB 2.0 transfer cable Earphones Quick start guide. This item cannot be shipped to APO/FPO addresses. Please accept our apologies. FOR YOUR BEST WORKOUT-RAIN OR SHINE The affordable, lightweight SanDiskreg; Clip Sport Plus MP3 player gives you the freedom and flexibility to work out the way you want. 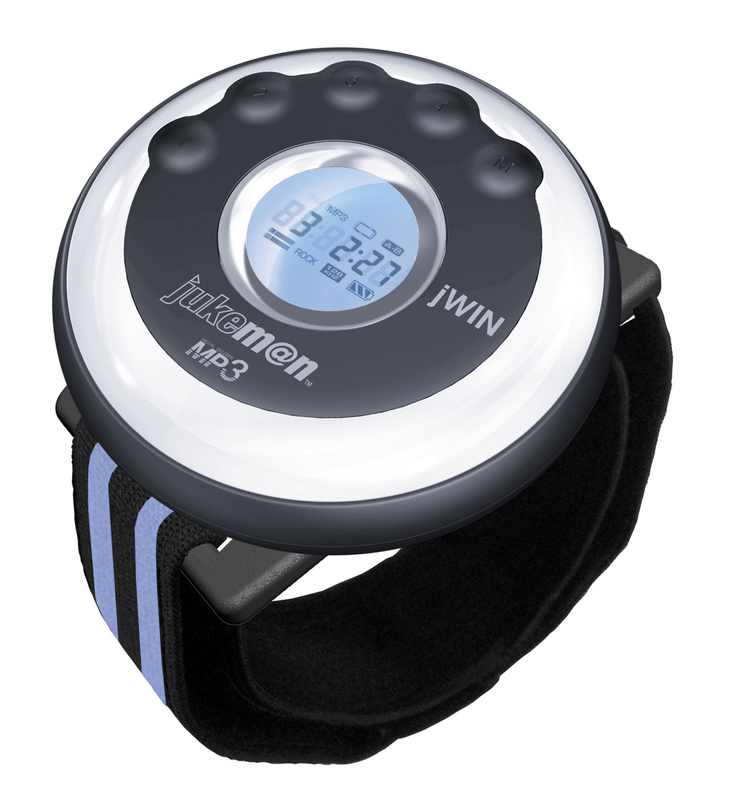 With its durable, water-resistant design, it's ready for a muddy mountain bike ride or a trail run in the rain. It also features Bluetooth wireless technology so it pairs with Bluetooth wireless technology headsets or speakers. 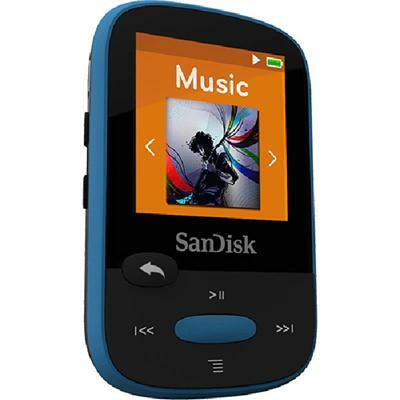 A 16GB capacity means that it's big enough to store up to 4000 songs, but it also has a built-in FM radio. And it's small enough to clip to your clothes or gear, so you can stop worrying about your device and focus on your workout. WATER-RESISTANT AND DURABLEDurable and water-resistant, the SanDisk Clip Sport Plus MP3 Player stands up to tough workout conditions-rain or shine.BLUETOOTHreg; WIRELESS TECHNOLOGY FOR WIRELESS LISTENINGPair the SanDisk Clip Sport Plus MP3 Player with your favorite Bluetooth wireless headsets for even more freedom in your workout.LIGHTWEIGHT CLIP-ON DESIGNClips on to your clothes or gear and stays put for a worry-free workout.BUILT-IN FM RADIOTune in to your favorite FM stations or connect with the entertainment system at your gym. 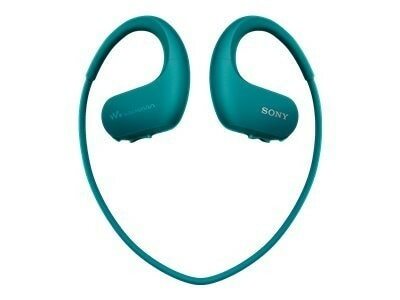 PLAYS UP TO 20 HOURSWith enough battery power to last for up to 20 hours on a single charge (wired headset), your SanDisk Clip Sport Plus player has the stamina to keep up with you for multiple workouts before it needs to recharge.STORES UP TO 4000 SONGS16GB capacity holds up to 4000 songs so that you've got enough music to carry you across the finish line or through your final reps. Charge or sync your Apple devices even when inside a protective case. Apple MFi certified. 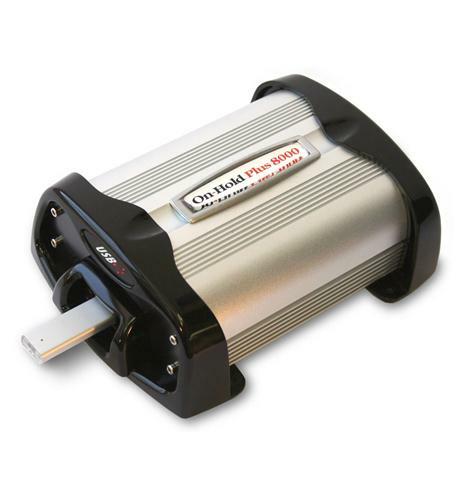 Charge your Apple devices from a computer or USB wall charger or vehicle USB charger. 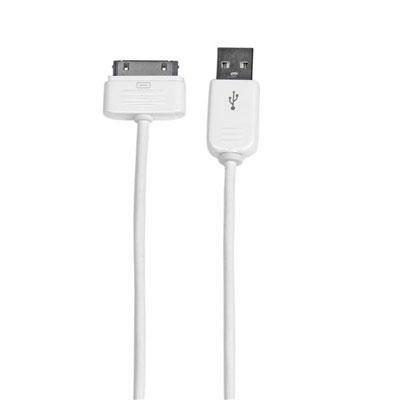 Standard 1m length makes it a perfect replacement for damaged or misplaced Apple 30pin cables. Stepped Apple dock connector connects to your device even while inside its protective case. 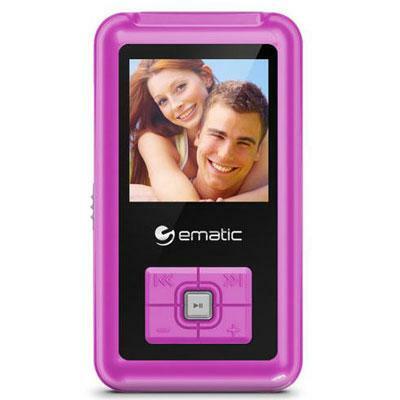 Compatible with Apple iPhone 4 iPhone 4s Apple iPad 3 and Apple iPod 4th gen. This item cannot be shipped to APO/FPO addresses. Please accept our apologies. The CyberPower CP-H320AP Power Port Charging Dock & 3-1 USB Hub includes a built-in Apple iPod/iPhone port for easy and convenient charging. 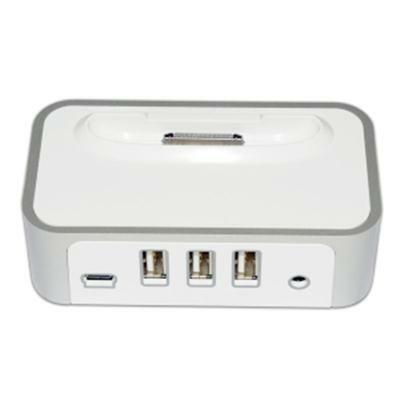 It also comes with a 3 port USB hub for connecting devices such as flash drives mobile phones and digital cameras. The hub is compatible with computers with Windows 2000 ME XP or Vista and Mac OS X 9 OS X 10.1 or later. This item cannot be shipped to APO/FPO addresses. Please accept our apologies. 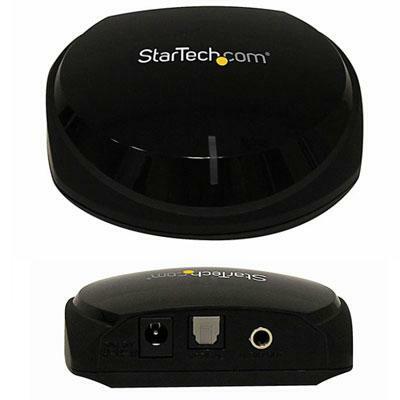 Stream audio from Bluetooth-equipped mobile devices to your AV equipment with automatic NFC pairing Bluetooth Audio Receiver Bluetooth Wireless Audio Receiver Audio Bluetooth Receiver Wireless Bluetooth Stereo Audio Receiver Wolfson DAC This item cannot be shipped to APO/FPO addresses. Please accept our apologies. Scosche PCA1 CD/MP3 Cassette Adaptor - White. 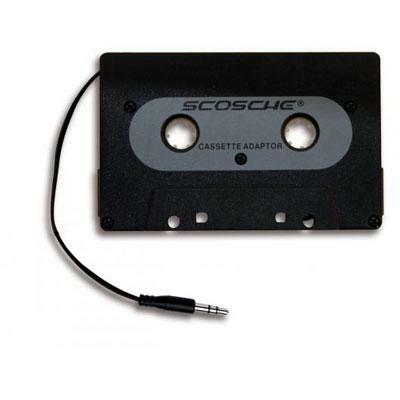 Play your iPod MP3 player or personal CD player through your car stereo's cassette deck with this Scosche cassette adapter. The adapter is easy to use: simply plug the attached cord into your audio device's 3.5 mm headphone jack then insert the other end into your car's cassette deck. Once connected you can enjoy all your favorite iPod playlists and digital audio tracks through your vehicle's stereo speakers without requiring an auxiliary input or FM transmitter. This item cannot be shipped to APO/FPO addresses. Please accept our apologies. Booyakasha! Your kids will go wild for Teenage Mutant Ninja Turtles with the TMNT-themed 7-inch Portable DVD Player. The 9-inch screen on this portable DVD player tilts and swivels 180 degrees to provide an optimal viewing angle no matter where you are making it easier to enjoy your favorite Nickelodeon content along with movies videos music and pictures while out on the road. Built with Text-To-Speech (TTS) functionality the 9-inch PAW Patrol Portable DVD Player will help children learn how to read through multisensory engagement and allow children with visual impairments enjoy their favorite Nickelodeon media without limitations. 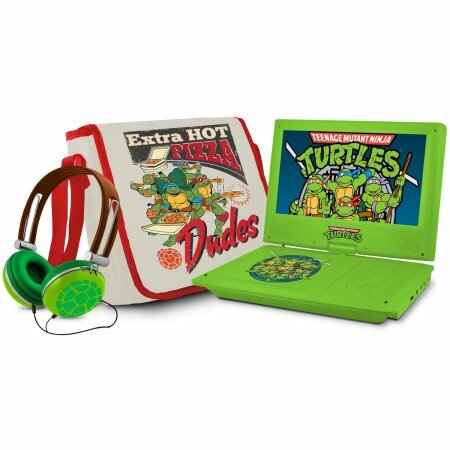 Featuring Raphael Donatello Leonardo and Michelangelo these four anthropomorphic turtles are emblazoned on the front of this portable DVD player and carrying bag making this the perfect device for your favorite TMNT fan to enjoy. This portable DVD player also comes with a pair of matching headphones so kids can enjoy their entertainment wherever. Teenage Mutant Ninja Turt This item cannot be shipped to APO/FPO addresses. Please accept our apologies. 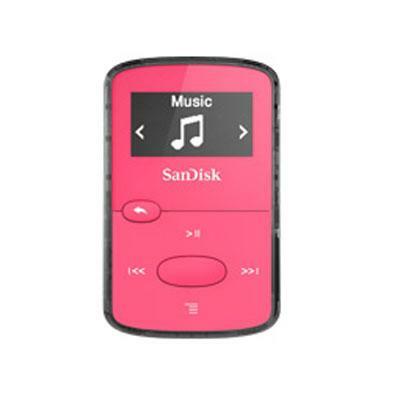 Sandisk SDMX26-008G-G46P Clip JAM Bright Pink 4x This item cannot be shipped to APO/FPO addresses. Please accept our apologies.